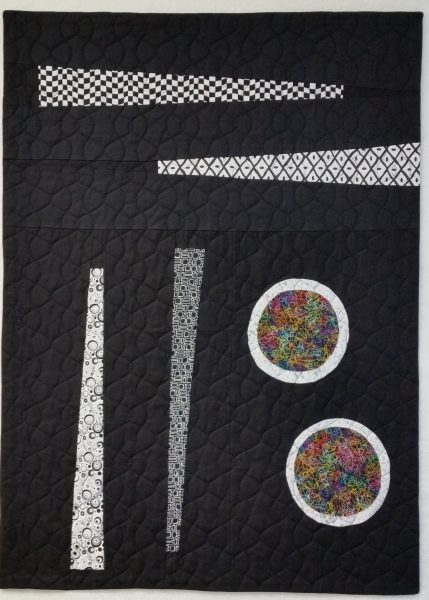 Another improvisationally pieced ‘modern quilt’ to go with a dining theme. Its sister quilt, Chopsticks and Edamame is here. 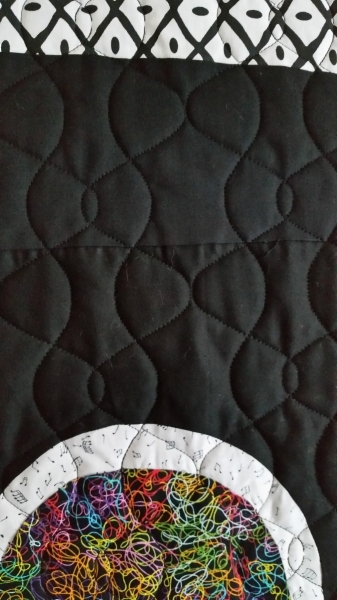 The digitized quilting design is based on a traditional sachiko design called steam or fishing net.